The SOLO 1 is a spinner type feeder, utilising a flexible mechanism to deliver food pellets to a spinner plate. As supplied, The SOLO 1 can be secured via a horizontal pole or other suitable fixing. Optionally, a dock stand is available to allow free standing installation and freedom of movement. Standard hopper size is 80L but can be configured for other sizes. 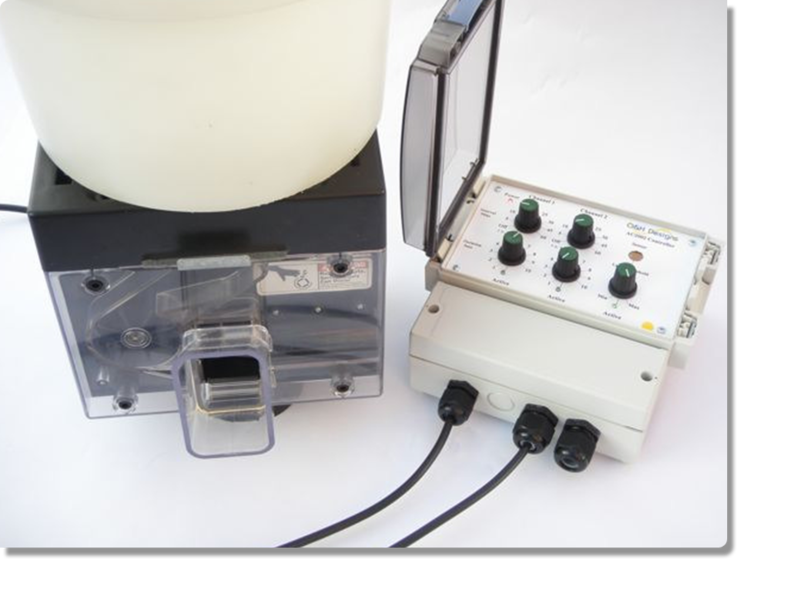 For a timed feed & duration, the unit can be driven directly from the AC2002 twin controller system. This will allow flexible feeding and interval times together with dusk/dawn enable.